In what some may consider a welcome move, the Ministry of Justice has published a first draft version of a law that will govern the behavior of Israel Patent Attorneys. For the draft, see here. Perhaps the most significant thing about the draft law is that client-attorney privilege is formally recognized. Henceforth, Patent Attorneys will also be required to keep escrow accounts. The IP Committee of the Israel Bar considers that the standards required of Patent Attorneys should be equivalent to those required of Attorneys-At-Law, and considers that the current state of affairs allows Patent Attorneys more freedom regarding marketing. They have requested that this be addressed. The attorney signed on their proposed response is Ziv Glasner who is also a patent attorney. The Association of Patent Attorneys in Israel has submitted their comments to the Justice Ministry as an amended draft. Briefly, the Association of Patent Attorneys in Israel would like the code of ethics of patent attorneys to mirror that of the Israel Bar Law (Professional Ethics) 1988 mutatis mutandis, seeing a correlation between the two professions. Thus the draft law as proposed by the Ministry of Justice recognizes that a patent attorney who is also an attorney-at-law will be duty-bound by both the Code of Ethics that bind patent attorneys and by the Israel Bar Law (Professional Ethics) 1988, however in case of conflict, the behaviour required of Attorneys-at-Law will prevail. 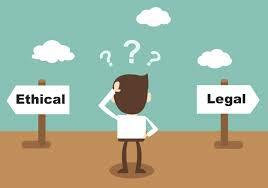 In contradistinction, the Association does not see room for conflict between requirements of an Attorney-at-Law and those of a Patent Attorney as it wants the Code of Ethics for Patent Attorneys to mirror that for Attorneys at Law. If we were talking about ethics, where the standards required of Patent Attorneys and Attorneys at law differ, one would require the attorney to have the highest standards. However, this proposed Law is not about ethics, it is about behaviour. The proposed law legislates and formalizes much of the voluntary code adhered to by the Association of Israel Patent Attorneys that Dr Kfir Luzzatto drafted some years ago. However, the amendment proposed by the Association of Israel Patent Attorneys wishes to delete certain sections such as not denigrating competitors and not aggressively poaching clients, as these are not currently binding on Attorneys-at-Law. Instead, the Association’s propose to import a whole bunch of clauses from the Israel Bar Law (professional ethics) relating to where Attorneys can set up office and where they can meet clients and make these binding on Patent Attorneys as well. I am concerned that these restrictions will create an entry barrier against sole practitioners and new firms, and should not be allowed on constitutional grounds based on the Basic Law, Freedom of Occupation 1992. Clearly restrictions designed to protect the public are legitimate. However, I do not think that these restrictions are not designed to protect the public. They are designed to protect the image of the profession. The proposal prevents practitioners from setting up shop in office space with a shared waiting area or with prototype developers, searchers, investment funds other services aimed at inventors or start ups. It will prevent a patent attorney specializing in medical devices from sharing premises with a regulatory expert specializing in obtaining FDA approval or with an accountant or tax consultant. I don’t see that this limitation clearly serves the interest of all patent attorneys, particularly sole practitioners and small firms. It imposes a sameness onto firms that forces small firms to ape larger ones, and does not necessarily serve their clients interest or that of the profession as a whole. Attorneys-at-Law do have such a restriction. Attorneys-at-Law may only share premises with other Attorneys-at-Law. However, there are 50,000 Attorneys-at-law in Israel, so there are plenty of potential Attorney-at-law room-mates to shack up with. It will be appreciated that Attorneys-at-Law may have different specializations, and, for example, a tax lawyer, a real-estate attorney and a family law specialist could sensibly share office space without forming a partnership since there is no competition between them. Patent Attorneys are a rarer breed who don’t have this pool (some would say cess-pit) of colleagues, and although there are some specializations within the Patent Attorney profession, there is still a very large overlap between different practices. Personally, I would not be adverse to allowing Patent Attorneys to share office space with Attorneys-at-Law, accountants and other professionals. I don’t see why they should have to have their own dedicated waiting area, kitchenette and conference room or to share with competing patent attorneys only. The proposal of the representative body may be an entry level barrier against sole practitioners setting up shop. It is very difficult to rent small offices in High Tech parks and industrial areas. Office premises that are smaller than about 200 square meters simply do not exist. I think that it is unacceptable for the professional Association to propose such limitations since the Association should represent Patent Attorneys per se. and therefore on libertarian grounds should generally object to unnecessary and superfluous limitations on Patent Attorneys. Certainly the association should not propose additional limitations to those considered desirable by the Justice Ministry. The Association’s proposed version of the Law also prevents a patent attorney from having two offices unless there is a full time attorney based in each office. I think that this type of clause hardly affects the larger firms but adversely affects sole-practitioners. It makes fair and open competition harder and I don’t think the amendment is really warranted. I would be happier if the Association were to poll its members on such issues before making sweeping proposals instead of paternalistically deciding what is for their own good. It seems that the official response of the Association was written by Adv. Tamir Afori, an attorney and senior partner at Gilat Bareket, who is not a patent attorney. As ex-Ministry of Justice, he may well be super-competent at drafting legislation. Nevertheless, we suspect that the fact that he is representing the Association in this matter is indicative that the proposed amendment is desired to serve the interest of incumbents against newcomers and competitors, which does not seem to be a valid position for the Association to take. The Law, including the proposed Code of Ethics should protect clients and ensure that practitioners are licensed. It should not, however, propose barriers to competition which the Association’s position effectively does. The code of ethics for Attorneys-at-Law was drafted in 1998 and is not up-to-date. It is a good starting point and could be used as a first draft for a code regulating the behavior of Patent Attorneys. It should not be the last word. The professions are, however, very different. Attorneys-in-law are generally licensed to represent clients in matters of law. Patent Attorneys are specifically licensed to represent clients in the field of intellectual property. I would expect the Association of Patent Attorneys to be sensitive to these issues and not to wash over them in an attempt to blur the distinction between the professions. I don’t believe that the two laws should necessarily be identical. That said, there is certainly value in making the codes similar as this might eventually allow attorneys at law and patent attorneys to become partners with each other. The current situation allows patent attorneys to form limited companies and partnerships. Attorneys-at-law are, however, not allowed to practice as limited companies. The draft from the association relates to firms of patent attorneys, which seems to be a partnership that is not a limited company. Lawyers have such a thing but I am not sure that there is a non-limited company of patent attorneys. This does not seem to be a legal animal, in that some firms are legally one employer and several employees whereas others are limited companies which may have shared ownership. Patent attorneys will not compete with each other in a non-ethical manner. Patent Attorneys will not make comparisons between themselves and others, neither professionally nor regarding remuneration, neither to induce someone to transfer files not for any other reason. However, a patent attorney may show his work to anyone and may discuss legal issues. He may also dissent from an opinion by a colleague. The Association wishes to strike this clause merely because the Israel Attorney Bar does not have a corresponding clause. I do NOT consider that to be sufficient justification not to pass such a clause into law. It is in the voluntary code of the Association anyway and I think it is correct and professional not to render an opinion on the ability of other practitioners, but rather to discuss a specific work product. We note with some degree of satisfaction that the proposed clause does imply that opinion work is within the ambit of patent attorney practice. For that reason alone, I think it is worth keeping. I can sympathize with importing advertising restrictions from the Israel Bar Law, but suspect that preventing patent attorneys from advertising on websites of related service providers, say Kim Lindy’s Intellectual Property Resource website and in-house manager forum website, may simply leave the advertising space free for rental by overseas IP firms who are not bound by Israel Law, and are beginning to operate in Israel. Advertisements in magazines, journals and telephone directories should not exceed 1/8 of a page and must be in a single colour. I rather like this. I resisted the temptation to advertise in the IP supplement of ‘the Marker’ this year, but it is tempting to compete with other firms and the only people who gain are the publishers. Then again, who uses a printed telephone directory nowadays? Other points of interest relate to preventing patent attorneys from working for or via non-patent attorney service providers such as patent management services, proto-typers and product development services. I think the initiative is worthwhile, but suspect that it will simply lead to such services being provided by non-licensed practitioners. Here, however, I do think that the amendment serves the interest of all patent attorneys, although I suspect that some newly independent practitioners may not appreciate the harm that offering their service through an intermediary does for their own professional standard. Notably, the Association wishes to leave open the issue of whether it is legal-ethical to work on a percentage of equity. Apparently, the members of the profession dissent on this. Perhaps this is a topic about which the Association should be organizing an open debate amongst its members. Of the sections of the proposed law, the only place where I can see that I could be accused of being unethical is that publicity should not contain pictures or illustrations apart from logos that do not damage the honour of the profession. I wonder if the caricature I use on my business cards and blog is a logo or is it a picture that damages the honour of the profession? I don’t think so, but would not want to argue the point before a committee of competitors. Note I have a law degree. I have a black suit and tie (good for funerals). I also have a gown (from my time at Hogwarts). It is not that I can’t dress and act like an attorney. It’s that I don’t particularly want to! Ultimately, it is not merely a problem of forcing patent attorneys to behave like lawyers. It is the problem of requiring them to behave as lawyers ought to have behaved in 1988. The whole thrust of aping lawyers is to say that all of us are the same. Sure some are more successful than others, but success is measured solely in size of the firm since other differences cannot be discussed. Many patent attorneys are indeed grey beings that are interchangeable. It could be that those with character and personality are not suited to big firms. However, why should they not be able to brand themselves creatively in their smaller firms? Perhaps they should be allowed to position themselves closer to engineers or R&D than to legal service providers? Patent Attorneys give business advice. We are not necessarily qualified to and should make that clear to clients, but it would be doing the clients a dis-service not to advise them to consider filing less widely if we suspect they will get into financial difficulties. Some patent attorneys advise clients regarding licensing and trading patents. Perhaps patent attorneys should be able to shave office space with accountants and financial advisers? There are a very wide range of potential clients for Patent Attorney services, from start-ups and entrepreneurs on one hand, to multi-national corporations on the other hand. I think that clients should have a choice of who represents them and the representative should be licensed. The representative could usefully be required to participate in a number of hours of professional training sessions a year. I don’t think that the style of the firm should be imposed. I have found Linked-In to be a great way of finding out what people that I was in school with thirty years are doing nowadays. For me, it is not an effective tool. The term ‘tweeting’ sounds like the background noise that sparrows make. I suspect that there are some younger practitioners that manage to use social media effectively to attract work. I am aware that even many senior and older patent attorneys have social media accounts. I don’t think that we need big-brother looking over our shoulders. I think we should be trusted to be self-regulated and grown up. I don’t want a special law to dictate what I can post, where and how. I think that the laws of libel and slander which are binding on everyone, patent attorneys and clients alike, are quite sufficient. What is not covered by the Proposed Ethics Law? Trainee patent attorneys are college graduates who typically have advanced degrees, are bilingual and often have work experience. They should be entitled to a minimum fixed salary whilst training, which could be the minimal salary, but I would expect that it could and should be rather more generous. Many respectable large firms that are run by gentlemen, such as Luzzatto et Luzzatto and Reinhold Cohen pay fixed salaries. Other firms, however, do not. At present, it is not unknown for trainees in some Israel IP firms to work on a percentage where the employer deducts his supervision time and the trainee gets nothing for the first few months or so. There is a double problem with this nefarious practice. Not only are such trainees not paid and work on the promise of better things to come, otherwise known as the never-never, but in many cases, they get laid off when some other wannabee comes along. These trainees are not fired as they were not employed. (They cannot work elsewhere whilst associated with one firm, but certainly don’t get any sort of redundancy pay). A number of the non-licensed practitioners in Israel are ex-trainees that have graduated from this system. Desperate to earn a living, often with dependencies, they knowingly and willingly provide IP services that they are not licensed to provide. Obviously they should be stopped as they are a menace to the consumer, but I feel sorry for them, and would like to see the owners of IP firms that run this scam being in the position of having their license suspended if reported. The range of activities that a patent attorney license covers should be clarified. There are legal services related to Intellectual Property that perhaps patent attorneys should not get involved in, but should be left to lawyers. There are IP related services that are offered by practitioners that are neither patent attorneys nor attorneys-at-law, such as IP management, IP trade and the like. Is this illegal? This Law seems a good place to legislate on these matters. Section 45 allows patent attorneys to use the term עורכי פטנטים or a foreign language equivalent. I translate the term as ‘patent attorney’. I am aware that some prefer to relate to Israel Patent Attorneys as Patent Agents, seeing the qualification as similar to the American qualification. This law seems to me to be an ideal opportunity to rule on the correct terms instead of leaving the issue open. Another issue relates to employing struck off or suspended attorneys. As there have been cases of practitioners from abroad losing their licenses and coming to Israel and working for local firms, I think the issue of attorneys who have been stripped of their qualification abroad should be covered. Finally, there are a number of patent firms that are limited companies that don’t pay salaries but rather subcontract to patent attorneys who may, themselves, be limited companies. It is not clear whether this state of affairs would be legal under the proposed Code of Ethics as drafted or in accordance with the amendment proposed by the Association. Personally I do not think that this should be legal. I think employees should receive salary slips and the system of sub-contracting is open to abuse and is indeed being abused. Obviously, this article reflects my views. It is written to encourage debate. I am more than happy to post relevant comments from Israel Patent Attorneys who have a different perspective.